These individuals volunteer for our Concierge and Comfort Cart Programs. 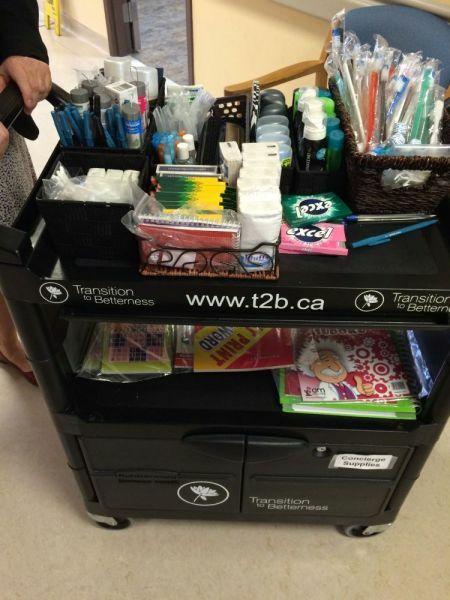 They service certain units at the hospitals (Tayfour and Met) by going room to room visiting patients, getting them items they might need off our concierge or comfort cart and trying to make them as comfortable as possible while they stay on the units we service. 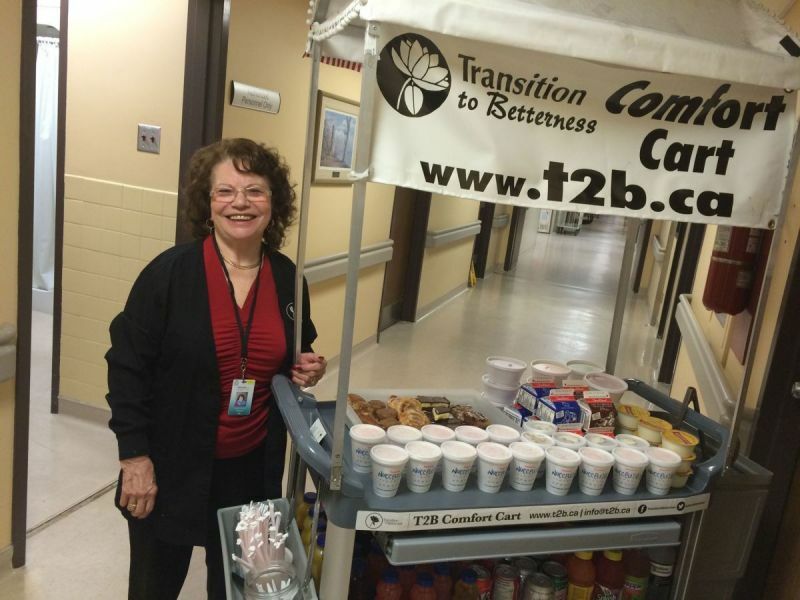 Comfort Cart volunteers provide complimentary beverages and snacks to patients and visitors. Comfort Cart volunteers make their rounds once a day (usually in the afternoon hours) on the oncology unit at Windsor Regional Hospital’s Metropolitan Campus and the palliative unit of Hotel Dieu Grace Healthcare’s Tayfour Campus. 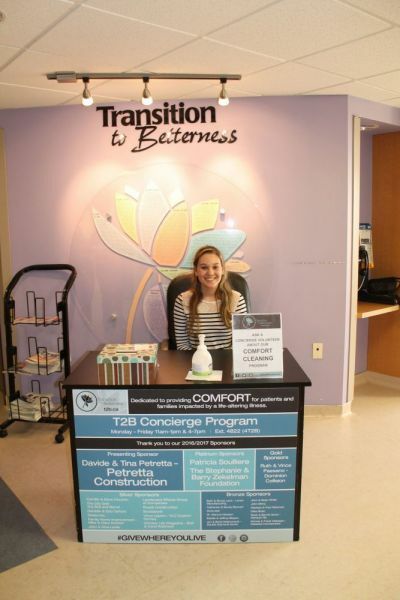 Concierge volunteers offer support, complimentary toiletry items and emotional support in an effort to make patients/visitors more comfortable during their stay. Concierge items include iPads, parking passes, coffee, tea, meal cards, Tim Horton’s cards and toiletries. 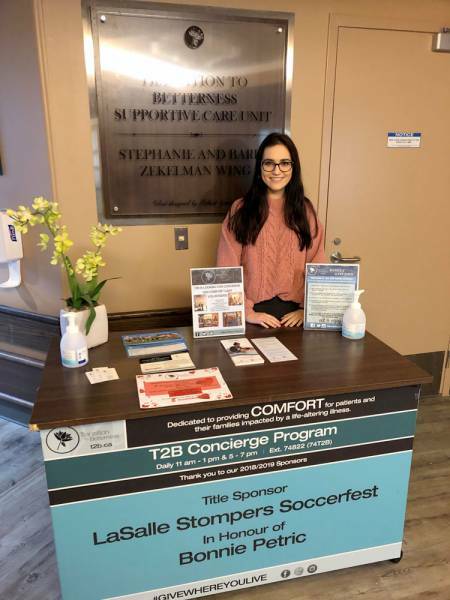 Concierge volunteers are available daily at both the oncology unit at Windsor Regional Hospital’s Metropolitan Campus from 11am-1pm and 4-7pm and on the palliative unit at Hotel Dieu Grace Healthcare’s Tayfour Campus from 11am-1pm and 5-7pm. Program volunteers must be 16 years or older to volunteer with these positions and will need to complete a 2 Step TB test, police clearance with vulnerable sector check, present immunization records, complete a hospital orientation and training all of which can be facilitated through the T2B office. Please DO NOT begin these steps until after meeting with the T2B Program and Volunteer Coordinator. If you have completed any of these steps within the last 12 months they will be valid. Please note program volunteers must be at least 16 years of age.